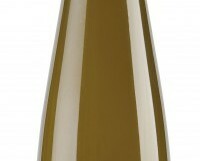 A thrilling combination of peach and pineapple fruits, a touch of ginger and plenty of balancing acidity. Elegant and perfectly formed. Expensive but worth every last cent. Stephane Ogier is one of the most talented winemakers in the Northern Rhône, responsible for some exquisite Côte Rôtie and Condrieu. This is actually one of his less expensive wines, from a single 3 hectare estate planted by Ogier in 2000, situated between Côte Rôtie and Condrieu. Available from Searsons Wine Merchants, Monkstown; Baggot Street Wines; La Touche, Greystones; 64 Wine, Glasthule; Jus de Vine, Portmarnock; The Drink Store, D7; The Wine Shop at One Pery Square, Limerick.